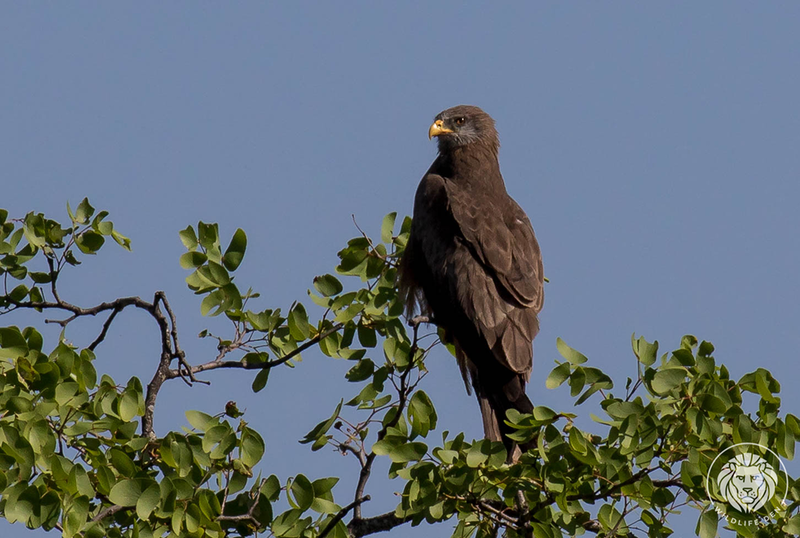 We saw this Yellow-Billed Kite (Afrikaans name Geelbekwou and Zulu name uNhloyile) sitting in a tree and looking at something in the road, we stopped the car to see what it was looking at. Next thing we saw was a hare on the road that was probably killed by a car travelling too fast on the road. 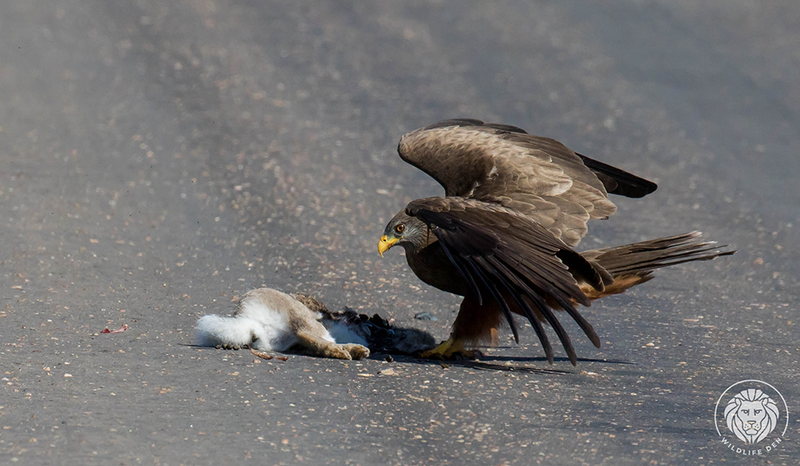 The Kite landed next to the kill and looked at us seeing if we would be a threat. 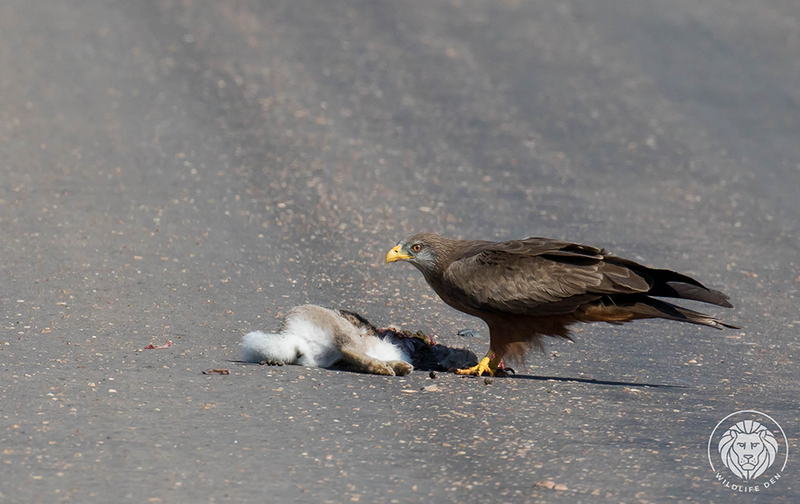 Once happy that we were not a threat he proceeded to feast on the hare, sadly he was not able to finish his meal cause just the a Bateleur came flying in and took over the meal. That is a story for another time.